The process of sight starts with light being reflected off of objects and into our eyes. Once the light reaches the retina, electrochemical impulses are sent through the optic nerve. The nerve transmits these impulses to the brain, which then forms the image in the brain. The cornea’s role in sight is to bend the light, or refract it, and send it to the crystalline lens. This lens focuses and directs the light to the retina. 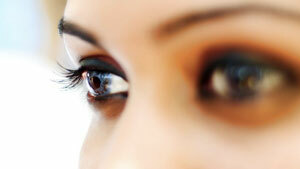 When this process is not completed properly, that is the cause for vision problems. Nearsightedness, for example, comes about because the light is reflected in front of, rather than directly on the retina. Farsightedness is caused by the light being reflected behind the reina. Either way, the image the retina receives will not be clear. This is the point where rods and cones come in. Rods are instrumental in seeing in low light and peripherally, while cones help with reading and seeing into the distance. Typically, people may think of 20/20 vision as being “perfect,” but this is only a measure of how well you can see into the distance, and there are many other factors that go into vision. Having 20/20 vision simply means that you can see what you are supposed to see clearly at 20 feet. Having 20/50 vision would mean that you need to be 20 feet from something to see it as clearly as someone with normal vision can see from 50 feet away.